Aurora Personal Injury Lawyer Patrick Flaherty has been awarded a Trial Lawyer Excellence Award by the Jury Verdict Reporter. Pat Flaherty is an accomplished trial lawyer who has devoted his professional life to helping victims of negligence and wrongdoing. Aurora Personal Injury Lawyer Patrick Flaherty has been awarded a 2016 Trial Lawyer Excellence Award by the Jury Verdict Reporter. 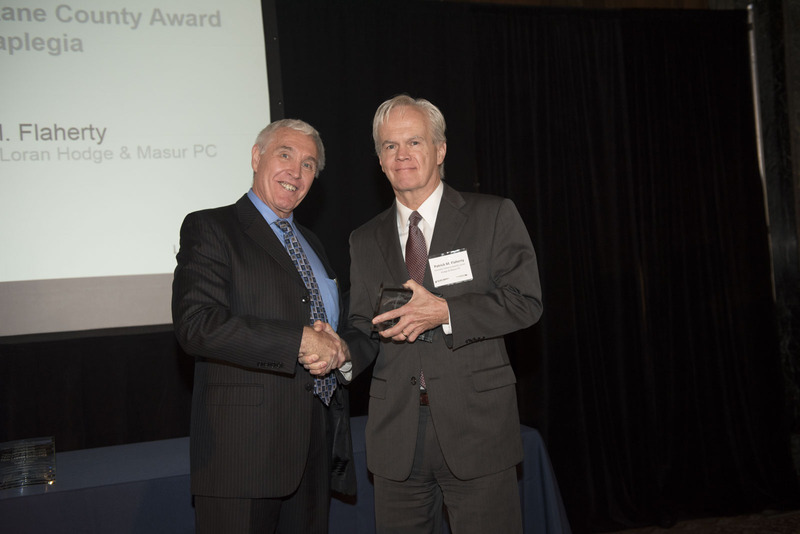 The Annual Jury Verdict Reporter Awards for Trial Lawyer Excellence recognize case and career achievements of Illinois lawyers. Mr. Flaherty was one of only 13 Illinois lawyers to receive a JVR Award for case achievement in 2016. The awards were presented at an invitation only ceremony at the Chicago Cultural Center in downtown Chicago. Pat Flaherty is an accomplished trial lawyer who has devoted his professional life to helping victims of negligence and wrongdoing. 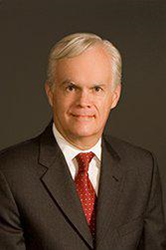 He has been a partner for many years at Kinnally Flaherty Krentz Loran Hodge & Masur, P.C., a well-regarded personal injury and commercial litigation law firm in Aurora, Illinois. The JVR Award was given to Mr. Flaherty for achieving the largest paraplegia verdict or settlement in Kane County history on behalf of a woman who became paralyzed due to the delayed diagnosis of a thoracic spinal infection. He has also obtained other record setting verdicts and settlements, including the highest birth injury award in Kane County and the highest wrongful death award in Will County. Mr. Flaherty is a graduate of Marmion Academy, DePaul University and Northern Illinois University Law School. He has served as President of the Kane County Bar Association and has been a frequent speaker and writer for legal education programs. Flaherty has been honored with the Community Service Award from the KCBA and with the Lyle Oncken Community Service Award from the Kane County 708 INC Board for outstanding advocacy on behalf of people with developmental disabilities. Kinnally Flaherty Krentz Loran Hodge & Masur P.C. is a personal injury law firm in Aurora, Illinois. The highly regarded lawyers at Kinnally Flaherty Krentz Loran Hodge & Masur, P.C. continue a tradition of aggressive and creative advocacy that for years has set the standard for Illinois lawyers. They have extensive experience in all phases of personal injury, wrongful death and workers compensation cases, including transportation accidents, construction accidents product failures and medical negligence. The firm serves people in need throughout Northern Illinois, including Aurora, Batavia, Chicago, DeKalb, Elgin, Oswego, Naperville, Rockford, Yorkville and Wheaton. Each member of the firm is dedicated to helping people and to securing justice. Contact one of them and they will all roll up their sleeves and work for you. Call 630-907-0909 or visit http://www.kfkllaw.com.